Cells are organised in tissues, which are grouped into four major types, each with distinctive properties. 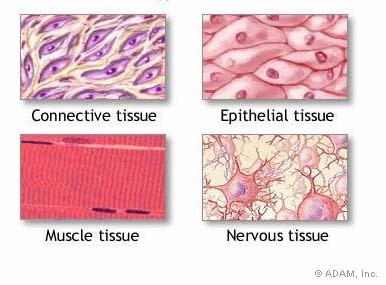 Each organ contains several different types of tissue. Download, print and complete the Tissues Confidence Checklist to help you identify what you need to know more about. Keep it handy as you work through this module.